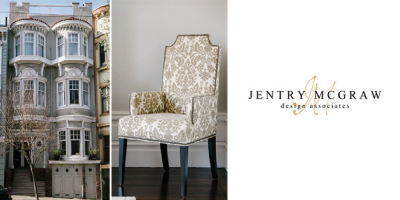 Jentry McGraw Design Associates, an Interior Design firm in Novato, is looking for a design assistant. We are looking for someone with a very positive personality, assertive, with good verbal and written communication skills, excellent phone manners, attention to detail, quality oriented, ability to work and focus in a high paced environment, developed computer skills, and eager to learn more about the world of interior design. Adobe Illustrator, Adobe Photoshop, Adobe Indesign, Microsoft Office, Auto CAD, Chief Architect, Sketch-Up and/or any other 3-D rendering program. Salary will be based on skills and experience. If you are interested, we are looking forward to hear from you. Email us your resume or drop it off in person to our office at 85 Galli Drive in Novato.